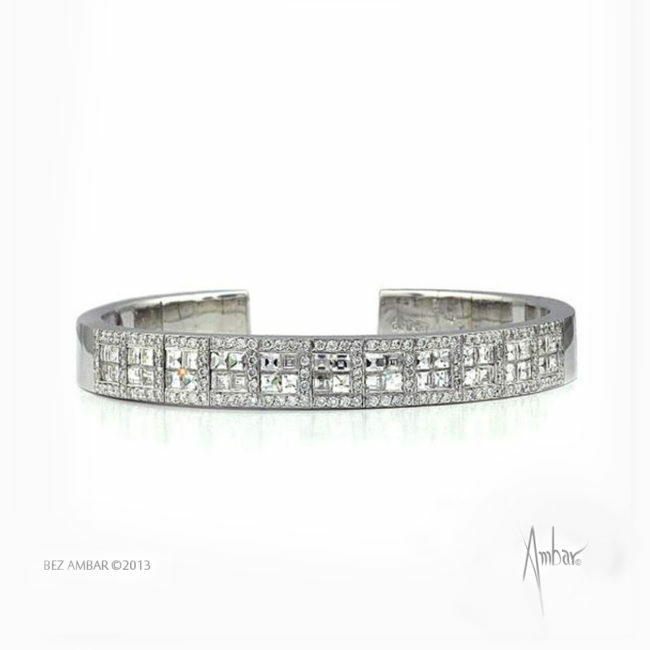 Blaze and Quadrillion Tennis Bracelets. Dramatic five-row invisibly set tennis bracelet in 18k white gold. Each row is set with alternating three Blaze cut diamonds and three Quadrillions. This item is available to order in 1-10 rows.